If your company has a mobile workforce, then it’s critical to have the technology to support them. When implemented and used properly, modern field service management software addresses issues such as disjointed communications, over-scheduled resources, and poor first time fix rate. Upgrading your desktop systems or paper-based methods is the best way to keep field agents connected to your central office. But transitioning to new technology isn’t always easy. We’ve all heard nightmares about software decisions gone awry with cost overruns and low buy-in. Luckily, you’re not the first person to make the switch. Every mistake is a learning opportunity, even if you’re not the one that made it. To help you mitigate risk and overcome selection paralysis, we’ll go over the biggest mistakes businesses make when implementing FSM — and how you can avoid them. If you don’t know what you need, how will you ever find field service management software that fits your requirements? Choosing business software without clearly defined goals is like wandering into unknown territory without a map. You have to define what you need from an FMS in order to identify the software that can help you get there. If you’re purchasing your first FSM software, what do you hope to gain from it? Do you need to eliminate duplicate data entry? Do you need help matching jobs to technicians with the right skills? If you’re upgrading to a new system, pinpoint what your current one lacks. Do you need route planning and optimization? Inventory management? Pinpointing your goals will inform your system requirements, create deal breaker criteria, and ensure you’ve filtered the niceties from the necessities. Though it’s tempting to go with the largest, or most talked-about FSM vendor, this can be one of your biggest mistakes. While market leading vendors generally have great functionality, it may not be the right functionality for your business. Don’t blindly listen to industry analysts, your tech savvy nephew, or Google’s recommendations. A system that one business finds flexible and powerful may be too complex or cumbersome for your needs. This results in frustrated employees, unused potential, and wasted money. Similarly, a system praised for its intuitive design and lightweight approach may be far too simplistic for your existing workflows. Take the time to create a list of vendors that actually meet the requirements you outlined, and then demo each product and eliminate the ones that don’t fit the bill. Most FSM is essentially designed to do the same job, which is why comparing systems is so daunting. But if you look beyond system features, it’s much easier to differentiate between providers. In addition to functionality, it’s important to consider a company’s growth, litigation issues, employee and senior management turnover rate, leadership vision, and strategic direction. You’re not just choosing technology, you’re choosing a strategic business partner. Scalability: Can the software grow with your company? Flexibility: Can it meet your workflow, or would you need to conform to the software? Technology Fit: Is the software simple enough to use or overly complex? Does it integrate with your existing software? Do you have the resources to manage it? Pricing: Does the system have high ongoing cost that increase the total cost of ownership? Customer Support: Are their sufficient support resources where and when you need them? For example, do they have a phone line or purely online support? Is it 24×7? Cultural Fit: Do they have experience with your specific business size and type? Can you build a lasting partnership? Deployment: Do you have the resources for an on-premise deployment? Do you want to move to the cloud to increase mobility and transparency? Implementation: How long will it take to fully release, train, and implement into your business? Too often, businesses turn to technology to fix a business problem. But draping new software on top of a flawed process won’t fix the problem. Companies must update their field service management processes before they can leverage technology to make smarter decisions about their business. Before making the investment in technology, be sure to map your current workflow. Then analyze it to pinpoint any inefficiencies or areas for improvement. Rework your process and create a streamlined workflow, rather than simply automating a flawed system. Once you’ve designed an efficient process, you can use technology to reinforce it. Never invest in software before you set up a demo so you can see the software in action. Many vendors now offer free trials or lite-versions of their product. Use this opportunity to get a small proof of concept before purchase. You can even run a low-cost beta project with one team to determine if there are benefits to implementing the technology company-wide. Finding the right field service technology is difficult. While each mistake listed here is a learning opportunity for your company, tackling the process alone may be the biggest mistake of all. If you get overwhelmed while comparing vendors, don’t be afraid to ask an unbiased third party for help. By avoiding these deadly pitfalls, you’ll be well on your way to a successful FSM implementation. 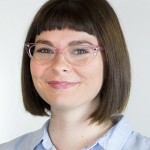 Jenna Puckett is an associate technology analyst at TechnologyAdvice. She covers topics related to project management, FSM, marketing automation, employee performance, and other emerging tech trends. Connect with her on LinkedIn. Does Bella have a GPS tracking conponent? I previously founded and operated a GPS tracking company, which served numerous industries. Most of which utilized a movbile workforce. In addition, i had a team of mobile installers which i had to manage. We did not have an FSM software, but i wish we had. Could possibly saved me much stress and headaches! I sold the company, but still have great relationships with companies which may benefit from Bella. But would like to see any youtube videos on my free time on a weekend. I care tremendously about my former clients who have all remained friends throughout the attempted murder ordeal i went thru in 2013. If Bella might assist any of them, i would be happy to refer sone to you after i investigate further. Shalom to you and let love abide in you as you serve your clients.